Prince William attended The Winter White Gala at Kensington Palace on the evening of Tuesday 25 November 2013. Also in attendance were singers Taylor Swift and Jon Bon Jovi. 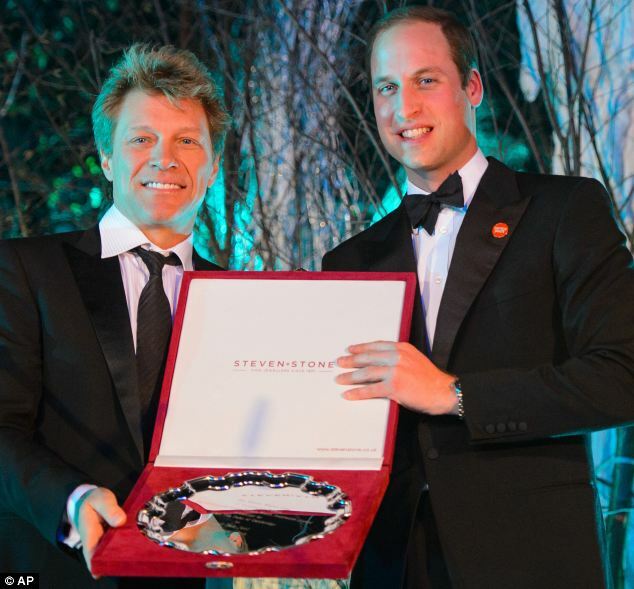 The gala was in aid of Centrepoint, of which William is patron. Kate was not present as she was looking after the couple’s four-month-old son, Prince George. 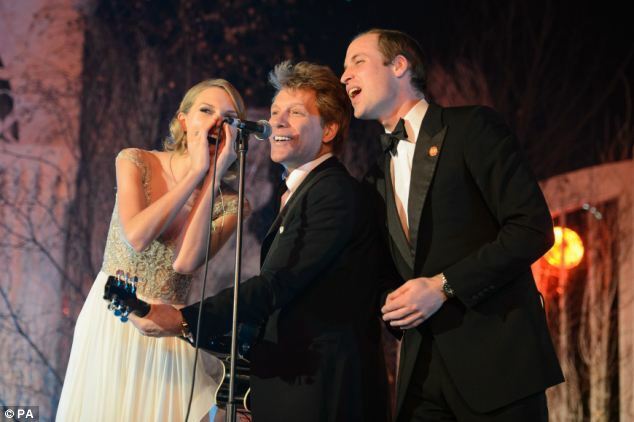 The future King, Taylor Swift and Jon Bon Jovi sang “Livin’ On A Prayer”, which was written by Jon Bon Jovi in front of an audience of 600 people. It has been said that the last time William sang Livin’ On A Prayer was at Zara and Mike Tindall’s wedding reception. Altogether, the gala raised £1, 000, 000. Other artists who performed were Eliza Doolittle, who thanked Prince William for “letting us use his gaff tonight”, James Blunt and Tinie Tempah. Tagged Celebrities, Patronage, The Duke of Cambridge.